After swearing off Microsoft's mobile platform years ago, LG is breaking back into the Windows Phone game. Well-informed gadget leaker @evleaks recently tweeted an image of a purported Windows Phone 8.1 device from LG, dubbed the Uni8. Microsoft announced LG as a new Windows Phone hardware partner in February, but the @evleaks product shot is the first look at what LG's first new Windows Phone device might look like. Other than the name and an image there's little information about the device, such as a release date. Specs are also a mystery so it's not clear if the rumored Windows Phone device will be similar internally to the G2 smartphone or the upcoming, but still rumored, G3. The Uni8 would be LG's first Windows Phone device since 2010 when it rolled out devices like the LG Quantum and Optimus 7. In April 2012, LG said it had no plans to release further Windows Phones, saying at the time that the "total unit of Windows Phone sold in the global market is not a meaningful figure." 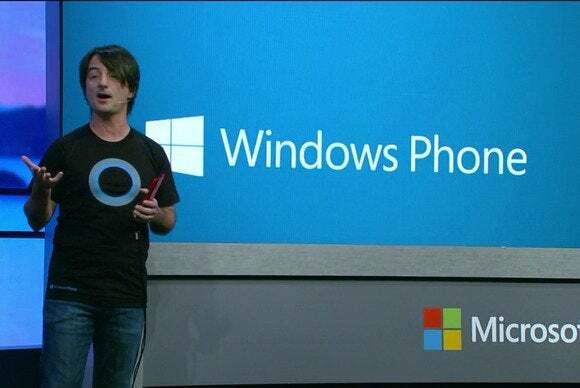 The company never released a Windows Phone 8 device. The appeal for LG this time around probably has little to do with Windows Phone's current sales appeal, but the business realities of smartphones. 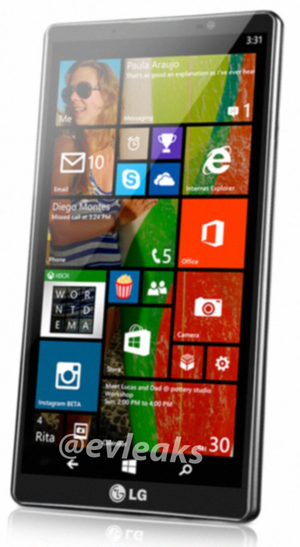 In April, Microsoft said it would offer Windows Phone to manufacturers for free. Zero dollar pricing allows Microsoft to better compete with Google's Android, which is also free to manufacturers—at least technically. But as many critics have pointed out before, creating a free Windows Phone may actually be cheaper for LG than making a "free" Android device. Microsoft takes a cut of most global Android sales as the result of numerous patent disputes with makers of Android handsets. 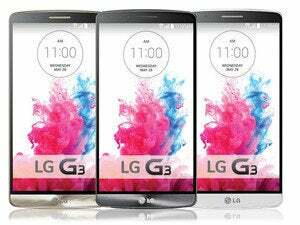 LG and Microsoft entered into a patent licensing agreement covering LG's Android and Chrome OS devices in early 2012. LG is hosting a press event on May 27 where it is expected to introduce the G3 smartphone and the Android Wear-based G Watch. As this will be an Android-focused event, the Uni8 is unlikely to make an appearance there.